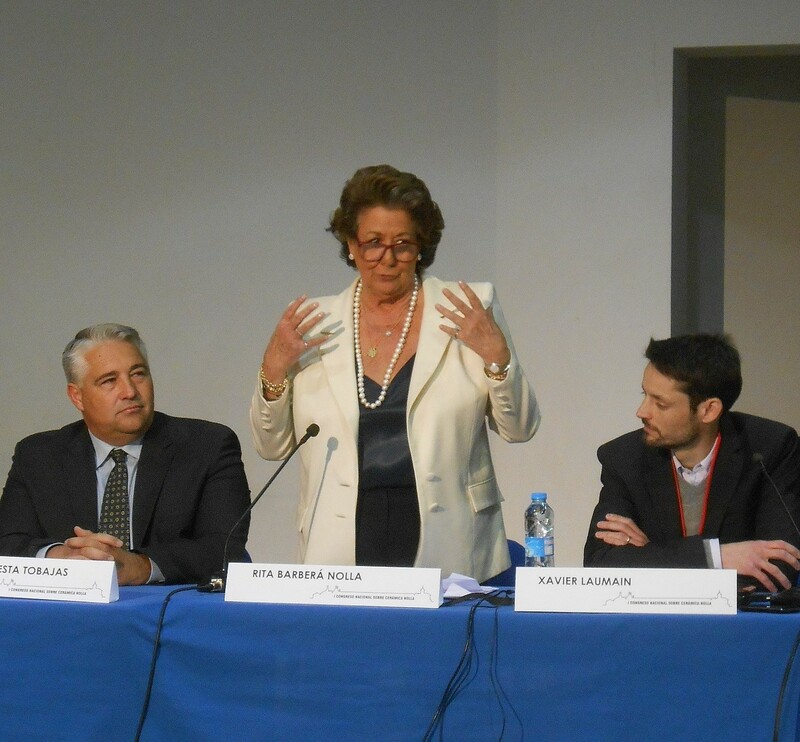 The Mayor of Valencia, Rita Barbera Nolla, a descendant of the tile manufacturer Miguel Nolla, opens the Nolla Congress on Thursday 9 April, 2015. 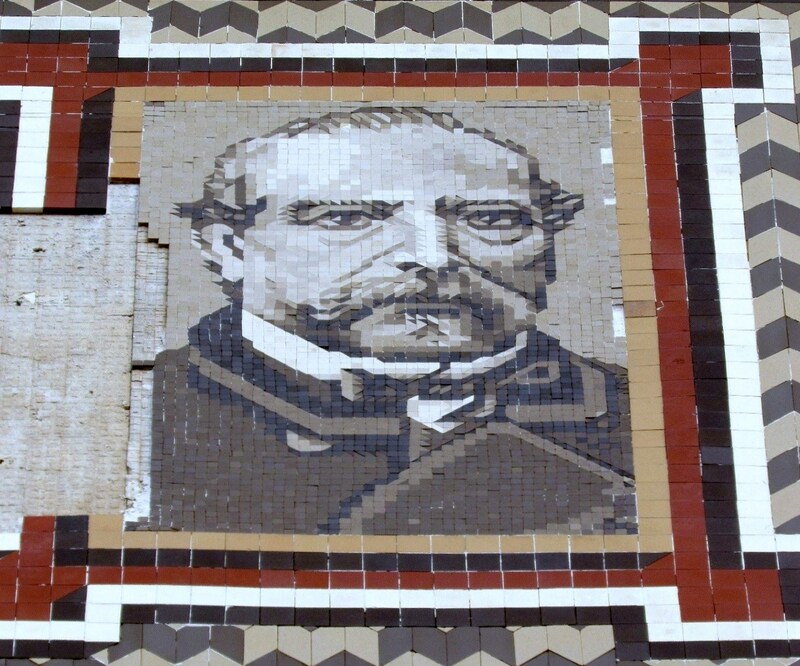 Tiled portrait of Miguel Nolla. 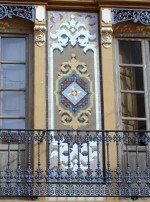 Detail of the facade of a house in Meliana dated 1905 decorated with Nolla tiles. 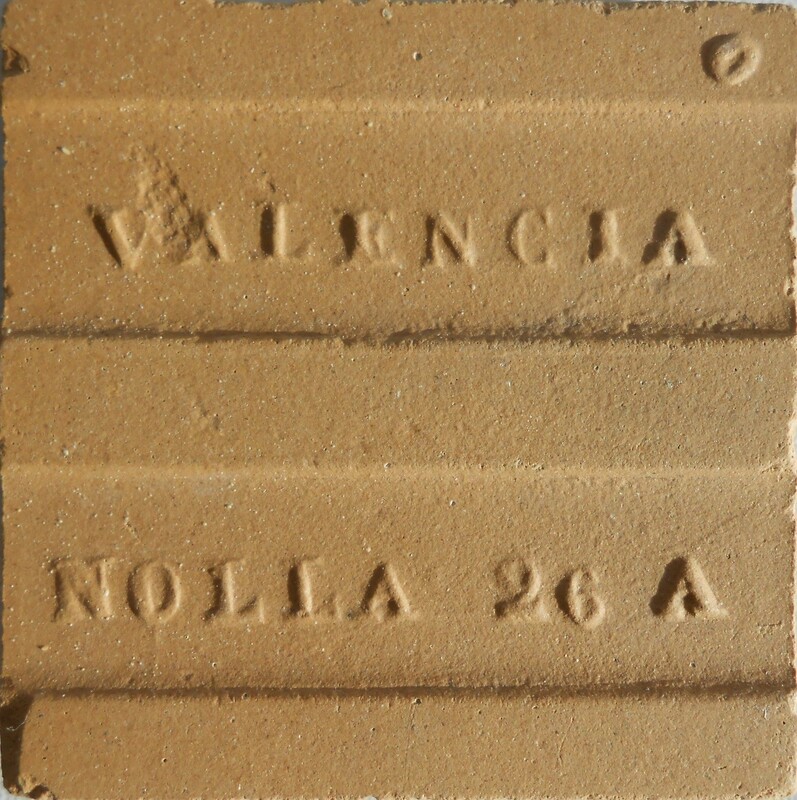 The reverse of a dust-pressed unglazed Nolla floor tile measuring 5 x 5 cm. Geometrical tiled pavement and wall dado made by Nolla on the first floor of the St.Juan Bautista Orphanage in Valencia. The St.Juan Bautista Orphanage in Valencia. 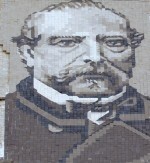 Tiled portrait of Miguel Nolla on the facade of his house, the Palauet, next to his factory in Meliana. 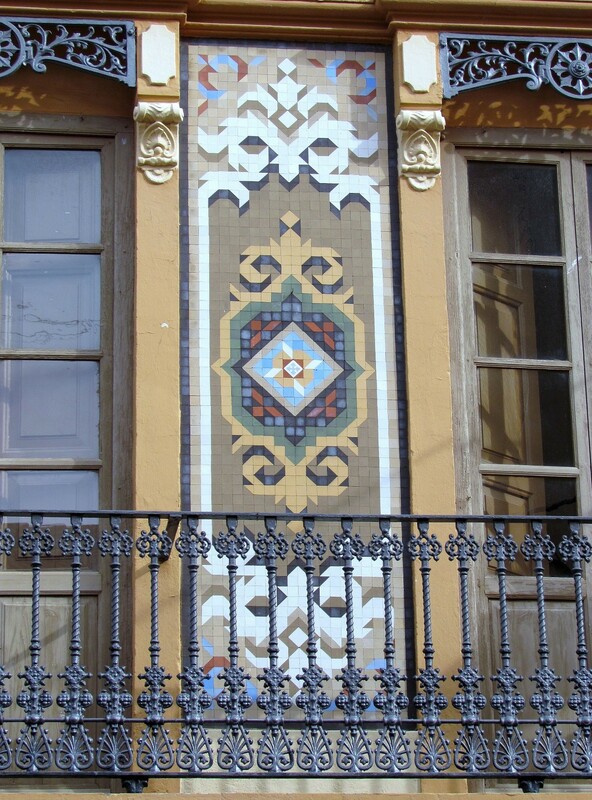 Detail of the facade of Miguel Nolla’s house , the Palauet, with his tiled portrait overlooking the factory. Geometrical tile pavement on the ground floor of Miguel Nolla’s house the Palauet. 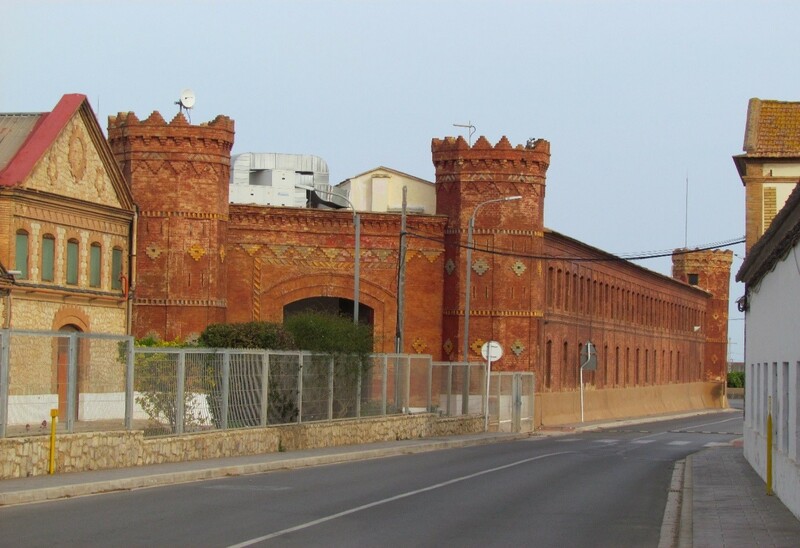 Miguel Nolla’s house, the Palauet next to his factory in Meliana. The Nolla tile factory in Meliana built in the early 1860s. Detail of a Nolla tile catalogue showing the factory and Miguel Nolla’s house at the back. 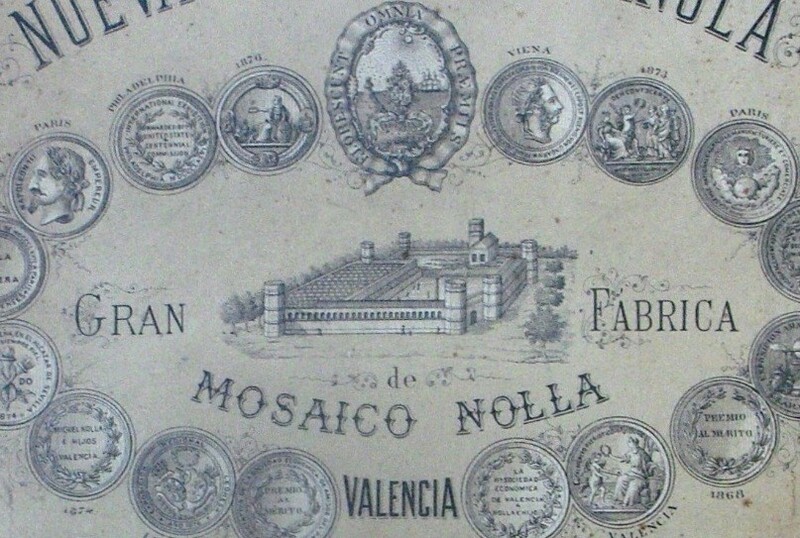 In 1860 the Spanish entrepreneur Miguel Nolla began preparations for setting up a factory for the production of mosaic floor tiles in Meliana, near Valencia. In 1864 he was granted a patent for 10 years by Queen Isabella II to make mosaic floor tiles from powdered clay using tile presses. This was an important event in the history of Spanish tile making as it ushered in the making of floor tiles on an industrial scale. 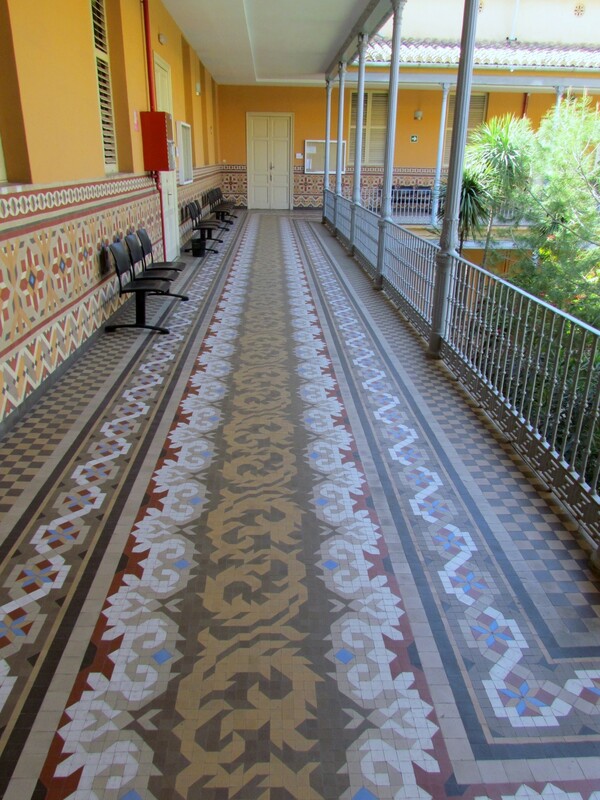 It is well-known that Miguel Nolla was inspired by two English firms, Minton & Co. and Maw & Co., who had already pioneered industrial production methods for making floor tiles during the 1840s and 50s. 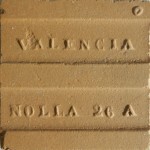 The Nolla floor tile factory became a major industrial concern and their tiles are usually marked on the back with NOLLA VALENCIA with embossed lettering. Nolla closed in the 1970s but the factory buildings still exist and are now used for other industrial purposes. 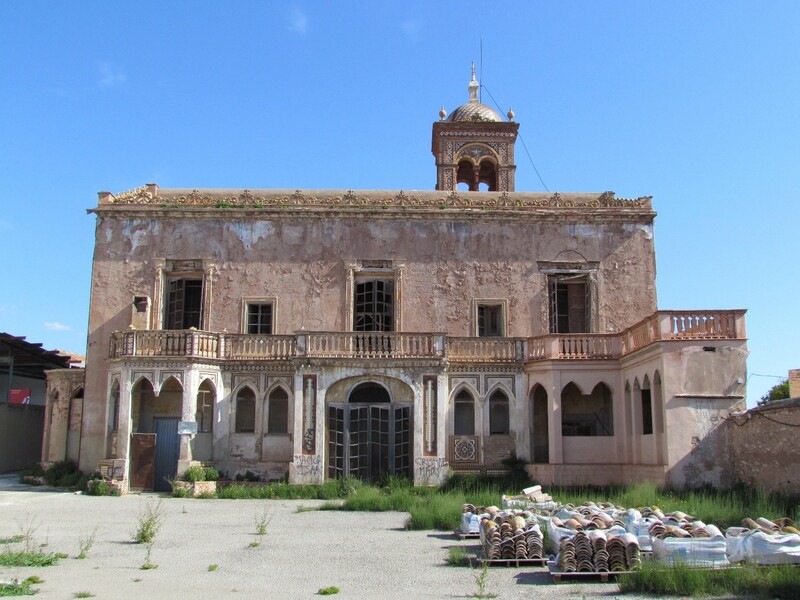 Next to the factory there is still the house (known as Palauet) of Miguel Nolla, although in a dilapidated state. 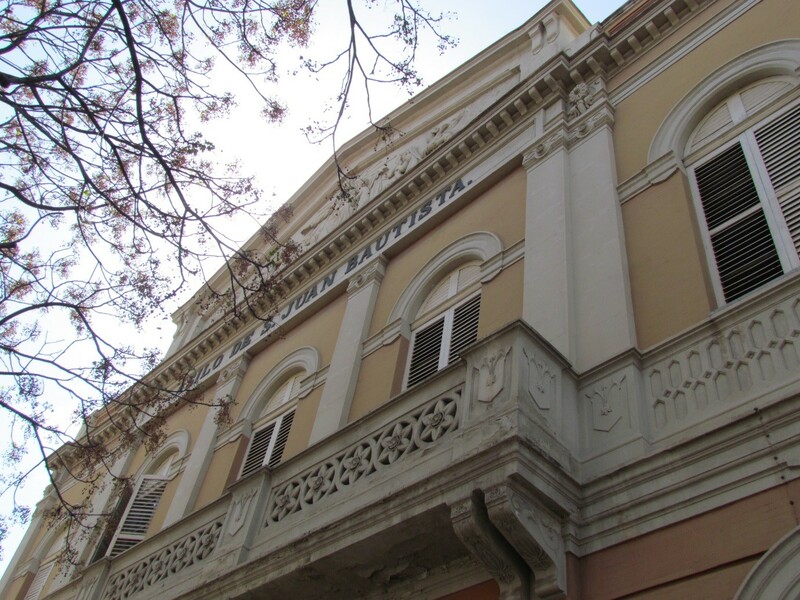 Their are plans to restore it as in its hey-day it was richly decorated with dust-pressed mosaic tiles inside and out of which much still remains. 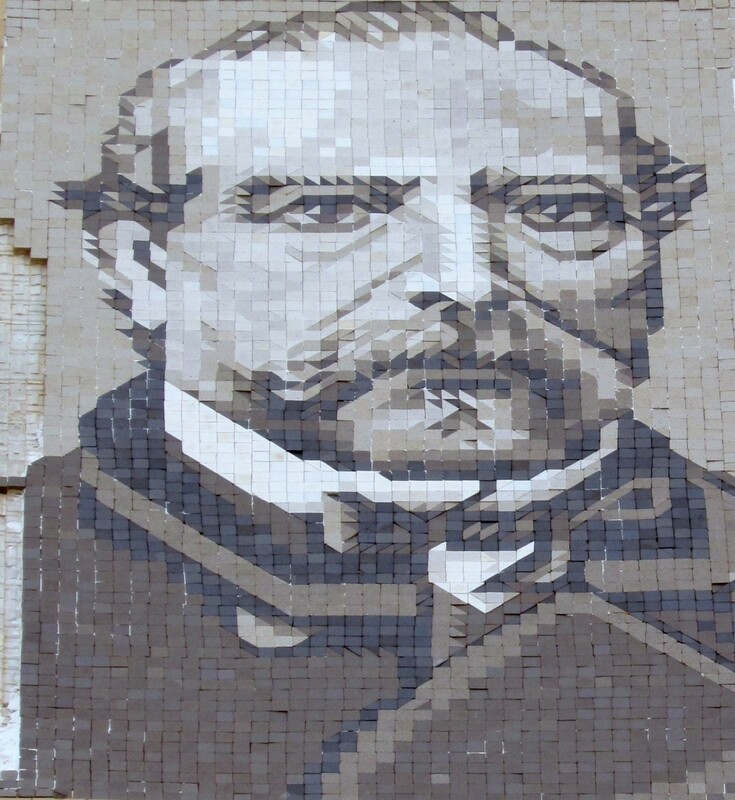 One of the most unusual aspect of the Palauet is a tiled portrait of Miguel Nolla on the exterior facing the factory. 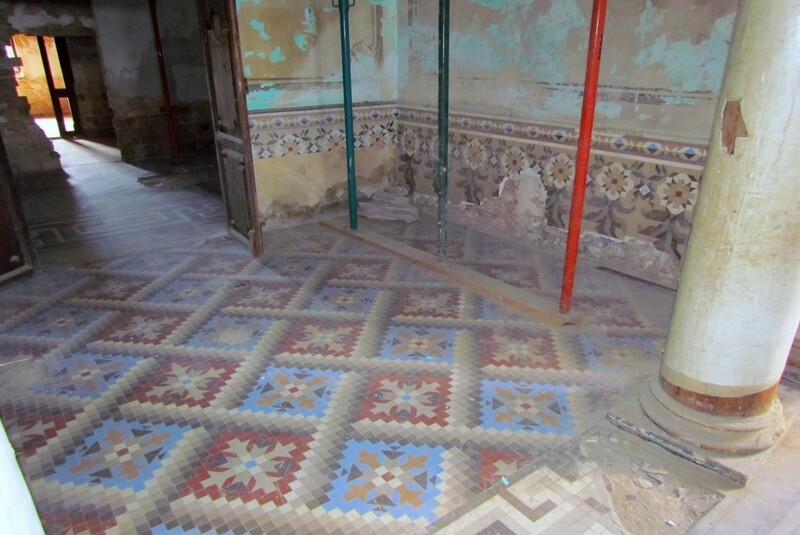 On 9 and 10 April 2015 there was a conference in Meliana that was opened by the Mayor of Valencia, Rita Barbera Nolla, a descendant of the tile manufacturer Miguel Nolla. It focused on the history of the Nolla factory and its products and and the need to save what is still left of Nolla’s legacy in Meliana for future generations.The restoration efforts of Miguel Nolla’s house are led by Xavier Laumain, a French architect now living and working in Valencia, who was also instrumental in organising the conference on Nolla. 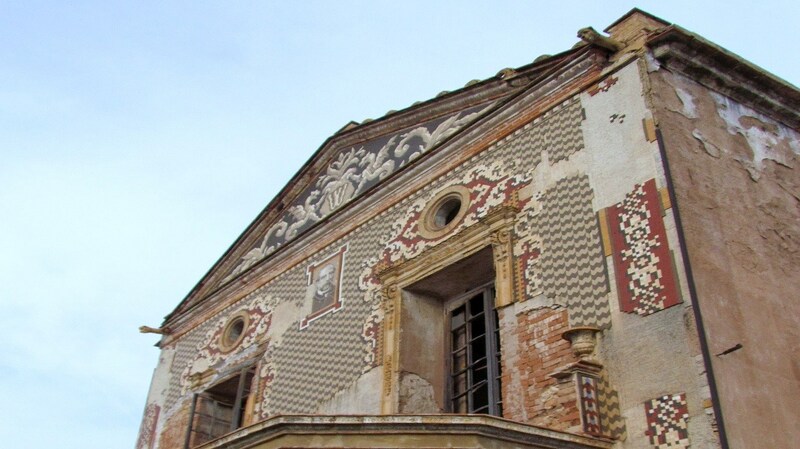 If you want to read more about Xavier Laumains’ involvement with restoring Nolla’s house the Palauet, ‘google’ his paper Virtual Technologies for Archaeological Studies of Nolla’s Ceramic Mosaics. The story of Nolla will be the subject of an exhibition in the autumn of 2015 at the National Museum of Ceramics in Valencia.